Epsom salt is comprised of hydrated magnesium sulfate, a naturally occurring mineral first found in the well waters of Epsom, England. Epsom salt has a variety of home remedy applications – the two most widely known being as a saline laxative and pain reliever. What many people don’t realize is that Epsom salt also has several uses in organic gardening for healthy plants. 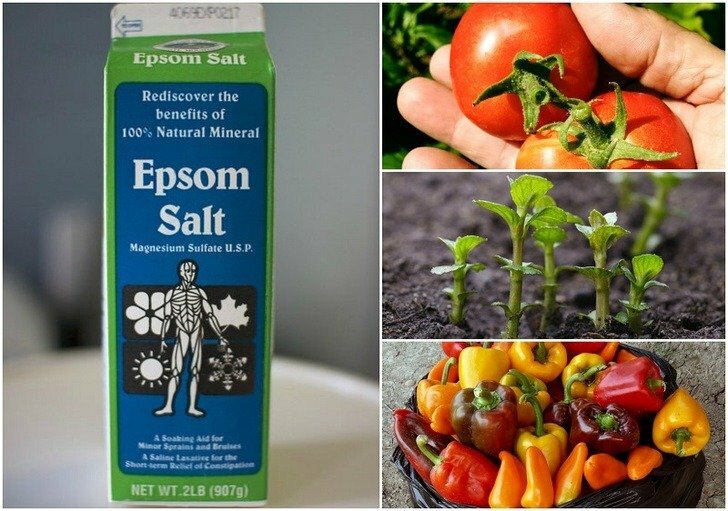 This article shares ten of the best ways to start using Epsom salt for the benefits of your plants and garden. Using Epsom salt as a soil amendment before seeding will give your garden a powerful boost right from the start. Magnesium aids in seed germination and helps to strengthen cell walls, leading to more and stronger seedlings. For best results, incorporate 1 cup of Epsom salt per 100 square feet of tilled soil or mix 1 – 2 tablespoons into the soil at the bottom of each hole before dropping in seeds. Many commercial fertilizers add magnesium to help plant roots take up vital nutrients (nitrogen, phosphorus, sulfur.) For those using all organic materials to feed their gardens, adding Epsom salt to soil will improve absorption naturally, eliminating the need for processed chemical fertilizers.